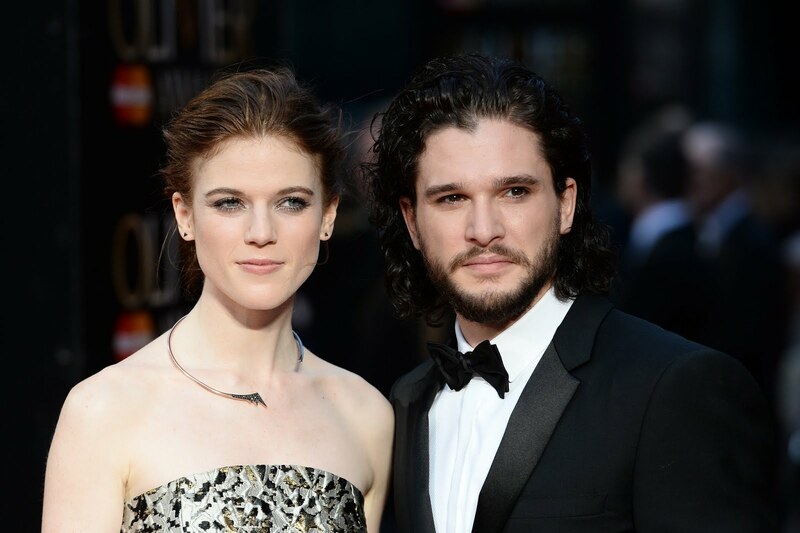 Kit Harington literally couldn't wait another day to propose to Rose Leslie. During an appearance on The Jonathan Ross Show this week, the Game of Thrones actor revealed why he decided to pop the question to his longtime girlfriend a day earlier than he originally intended. "I did have some plans to do it," he said about the proposal. "I was going to string up some lights in some trees and do all the romantic stuff, but we were in the country and we were under this beautiful night sky and had a log fire burning and red wine and I blew my load early." You did what now, Kit? After realising what he just said, the actor quickly explained, "I was meant to do it the day after with the lights. What I meant to say was, I popped my question a bit early. Not blew my load. Sorry, that's a really bad expression." As far as the actual wedding goes, the couple, who met on the set of Game of Thrones, plans on having the entire cast on-hand for their special day. "I rang him [one of the show's producers] up and I said, 'I'm getting married and it's your fault actually' . . . 'You need to factor in a Game of Thrones wedding by the way.' They [the cast] have all got to be there so the whole thing has got to shut down." Aww! The actors really are like one big, happy family, even if their characters aren't.